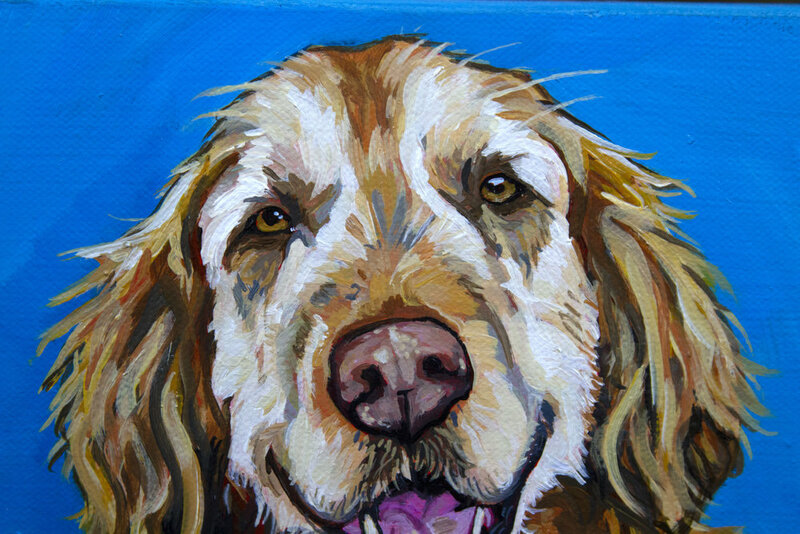 I have been working on creating a few different paintings of different dog breeds. I can then use the paintings for marketing or selling prints or whatever! This one is of a Golden Retriever! This oil painting is of Pepper, the very silly and energetic cat. I was hoping to catch that bit that energy he has in the painting. This painting was a quick one that I just wanted to do! 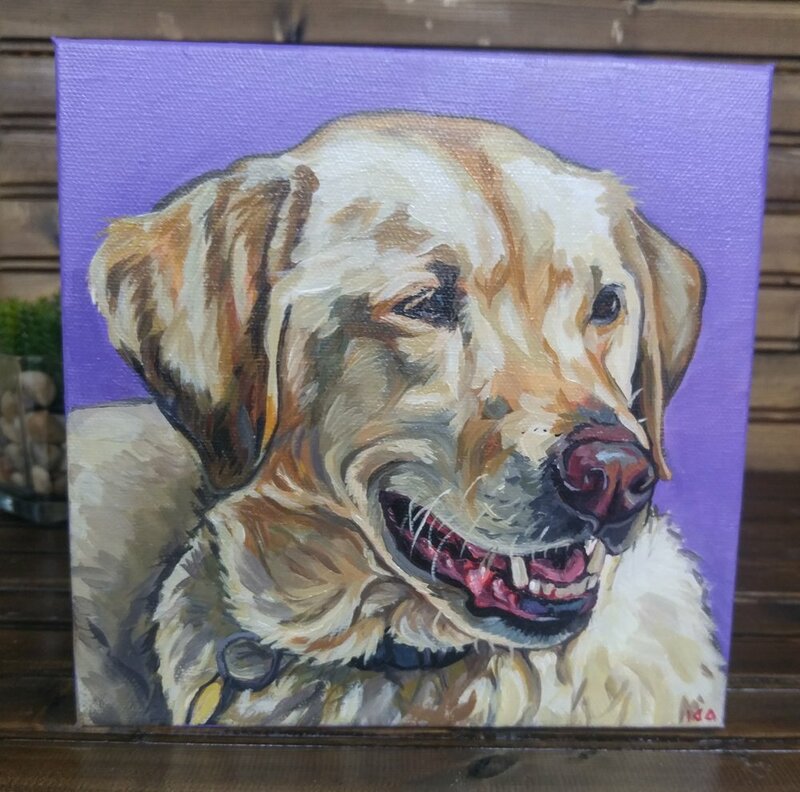 This is a painting I did as a gift for my great aunt who recently lost her dog Scout. When one of my dogs was younger and I was in college she really helped me out by watching my dog for my senior year so I could focus on school. So I owed her for sure. Scout was a pleasure to paint and really will be missed. This video shows pretty well my process of painting in oil. Start big work to small! I couldn’t wait to post this painting as it was one of my favorites to paint this past holiday season! Mila and Zula are two quite rambunctious labs oozing with personality! This oil painting was really fun due to the size, there was so much space to work with. One thing I love to do is ask about the pet I am painting and learning about the quriks special to them. I love it when long descriptions like this are sent! Originally I was planning a snowy background scene, but after speaking to the customer we decided to go with a more earthy/dirty background! You can see this change in the painting. I needed a piece to fill a local show, so I painted my own corgis! Here is a video of the painting process! Here is another painting I forgot to post back when I painted him! Another cutie! Smokie was a fun one because the background was included! I forgot to post about this guy back when I painted him! 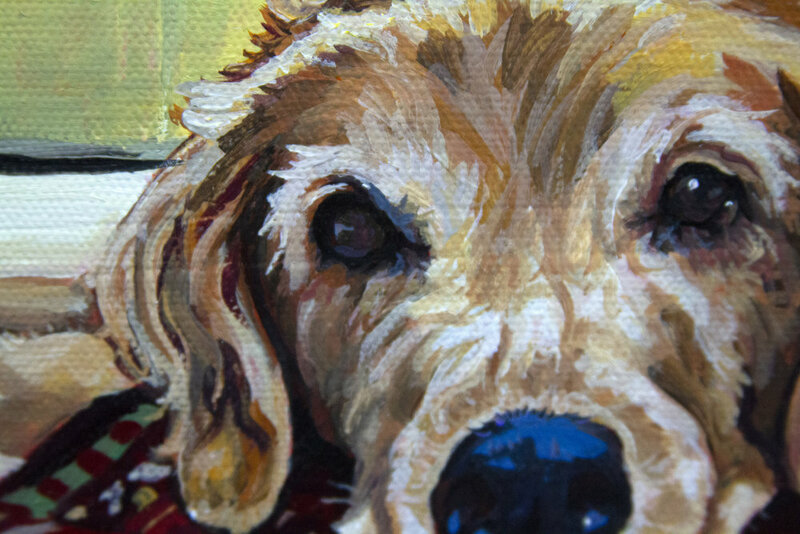 It is always fun to paint older pets, so much white sprinkled in with the gold. Painting text was a new challenge in this one, I definitely don’t feel that it is my strong suit, but hey I tried and it’s on fabric so it is a bit more forgiving. “Ralphie is a very social gold retriever who grew up on a lake. When he was young he would roam the neighborhood looking for new friends. If he found a party sometimes he wouldn't come home until the next day! Although he does like other dogs, we like to joke he likes dog people more. He also loves going to stone's throw brewing to get pets and beg for treats from the food trucks. My parents bring him there every Friday. They like to joke that he has to make it to his shift as a greeter. They even made him a bandana. He is very well known there. Sometimes if we take him on a walk somewhere complete strangers will recognize him! Bit busy this week! 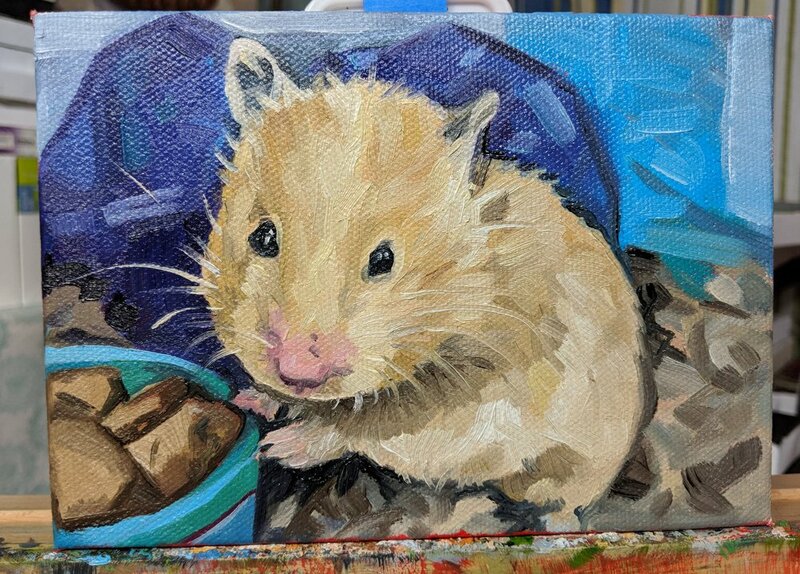 So have a look at this painting of a hamster I did! Jiggy was a fun painting! Her reference photo was a bit challenging due to having a very light colored towel over her back that had to be replaced. Overall she was a pleasure to paint.